To tell you the truth, it's not showy at all. Just a nicely kept Merc S-Class from the great mass of such cars that keep mixing into their surroundings. The only thing that might disturb the nitpicker's senses are the bigger than standard wheels and the signal-orange (should I call them pink?) brake callipers glinting from between the spokes. And there's that badge on the rump. Oh yes, the badge. „We just stuck it there to show that this car is a bit different from all the others. But I guess the contractor who summoned us to build it will remove the letters in no time. He explicitly asked us to build a special W140 from the looks of which nobody can guess what it has under the skin. I think you may call this one a real sleeper. We had our quarrels about the height of the suspension, about the bigger wheels, but in the end we had to guarantee at least a minimum level of safety. 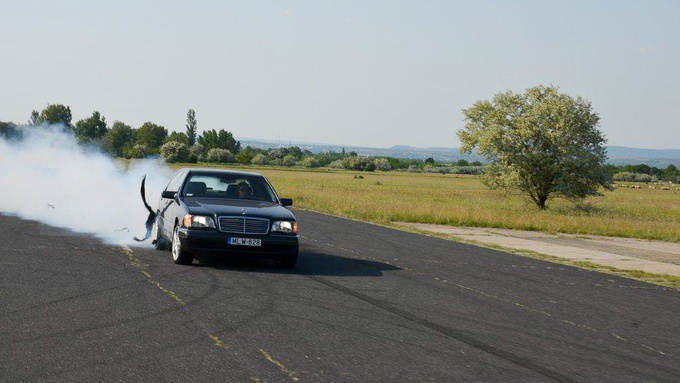 Of course, everything is relative at this level,” says István Sywa, the 'nanny' of this Mercedes-Benz 600 SEL KO860. Well, what do we see here? A big Merc CL6.5 AMG coupé (factory code: C215) clad in the clothes of the long wheelbase sedan S-Class (W140) from a generation earlier. Oh yes, the mix has also had some milk-plus mesto added to it if you don't mind me stealing the correct description from Anthony Burgess' A Clockwork Orange. It's an intriguing task by itself to squeeze a super-complicated luxury coupé into the shell of an earlier-gen super-complicated luxury limousine – and I'm not talking about the differences in sizes here, because we all know that the W140 was a humongous piece of automobile, so – take any car – there should have been enough space left after all the squeezing was done to cram two Fiat 500's in the boot. The problem is rooted in the different design philosophies between the two generations of these big Mercs. The newer coupé has got a clean CAN-bus system, meaning all the information runs in binary cables in the electric system and there are small computers for decoding this information at the ends where the commands are executed by the ancillaries. The older car already had some sections in its electronics that operated on the same CAN-principle but most of its network utilized the good old 12 volts running up and down a mass of thick wires. Two interfering principles collide, especially at the level of complication these cars reach. And of course there's the steering with the new one having a rack-and-pinion system, the old a recirculating ball 'box. Again, two different solutions to the same problem. And some more still. 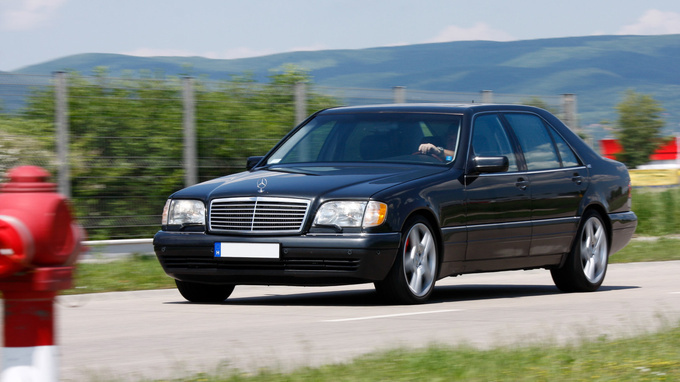 The newer-type Merc had such niceties like ESP – a safety feature the designers could have only dreamt of (after having a bit too much of Rhine Riesling and Schnapps at a party) in 1989 when the W140 was introduced. The serials on the TV might make it seem as easy as mowing grass, but in reality it is tough as hell to mate one car with another. To an outsider all this blending means nothing, the KO860 was made from two equally big, twelve-cylinder Mercedes-barges from twenty-something years before. The milk-plus mesto – now that is the interesting ingredient here. 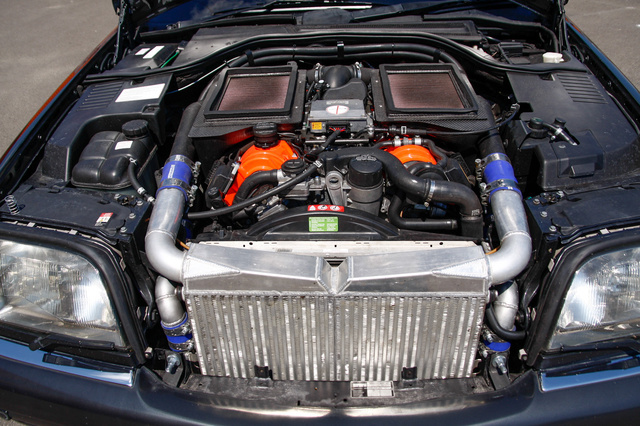 The KO860 has got two turbos atop its engine and it is in fact much more powerful than what AMG, Brabus, Lorinser or any other tuner might have had the guts to produce from the same hardware. It's no secret: the measured power is 857.9 DIN horsepowers, the torque 1190 Newton-metres. Now that's something. As you might guess complications arise when one is measuring such brute power. It wasn't the rolling road that broke – that could have taken a punishment up to 1500 HP – but the tyres. They started to melt after the first try producing lots of smoke on the way. But the worst was that the slip became so great, it proved impossible to measure the power of the beast. In the end they gathered all the usable blowers and fans from the premises, directed their blow on the wheels and proceeded that way. What a horror of a car, this, even when standing still. It's a handful on the street too, mind you. To divert your religion from Muslim to Christian is just a stroll at your local Tesco department store compared to this; here we talk more of a magnitude of conversion from atheism to Rosicrucian type. A vehicle like this doesn't behave like a car in the traffic, rather it's like a huge, black, two-ton switch with some delay built into it. Let's picture this. There you are in the traffic, wafting along with all the others. You notice a gap in the line five cars further forward. Click, says the huge switch and there comes a short, threatening pause, but there you are, in the spot up ahead that you just laid your eyes upon. What happened in the meantime is beyond your senses. It just happened like that, in an instant. As my late grandmother would have said (who could really be a pain to be with, bless her soul): Zsolti, it is not fit to do such things. From all the rumbling that's been going on you may surmise that something more earthly could have happened in that roughly 1/10th of a second when all the tele-porting was done. Oh yes, the noise. As they come from the factory I've always thought of twelve-cylinder Merc engines as the most boring motors ever devised by mankind. A specially low-volume Electrolux vacuum cleaner could have given any one of them a head start in a goosebump-arousing contest. But those twelve jugs rumble indecently in this car, even in city traffic. And I haven't pressed the button with the exhaust pipe sign on it yet. 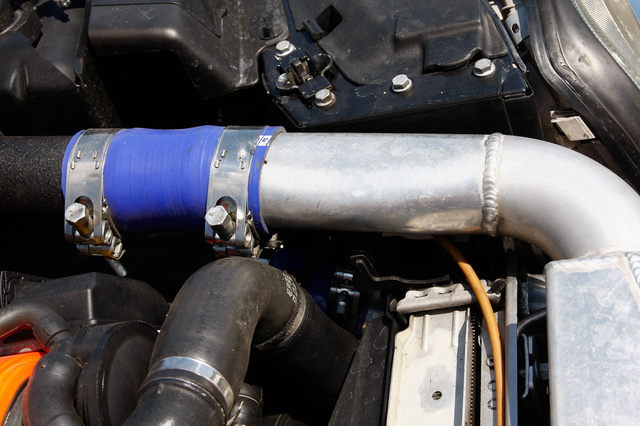 The KO860 has got two separate exhaust systems stemming from the cylinder blocks as all V-engined Mercs. 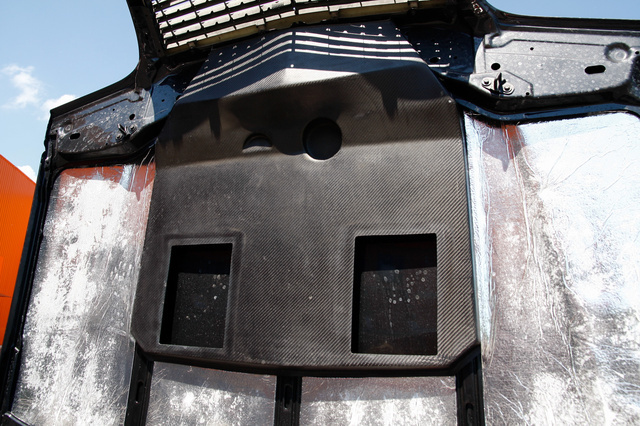 But here, the two systems are joined before entering the last two silencers at the rear end of the car. It is at this point of joining where the makers included a vacuum-operated valve and a short, silencer-less, empty pipe sticking out under the boot floor. When the valve is opened, hell is let loose. Whilst there is always some discernible, albeit fully tolerable murmur in the KO860 – not unlike that of a muffled but sporty V8 – at the press of the exhaust button you get three times the noise, four times the machismo. It's all showbiz but some nastiness just had to be built into this otherwise well-mannered car. „The customer saw a few cars we converted, asked for some photographic evidence on the work done on them and – probably in a fit of foolhardiness – ordered this car from us. The KO860 was made in nine and a half months, almost the same time a pregnancy lasts. Maybe this is why I feel like a parent about a child when I think of it, remember, I dreamt, thought and ate this project for the best part of 300 days,” says István. „The 6.5-litre AMG engine came from the C215. Kasza completely dismantled it and made a list of the components we could utilize. Not much was left apart from the engine block, the crankshaft and the heads. The AMG con-rods would break in half at the sight of this kind of torque, plus, we needed special pistons, gudgeon pins, valves and bearings, too. Luckily there is a company in the US which produces specialized components for competition engines at an incredibly high standard – this is real low-volume car production from here. You just specify what you exactly want and you get the package a few weeks later. And, erm, you also receive a bill which is eye-watering. But then, you also get a guarantee on the parts supplied. After lots of measuring and calculations, Kasza came to the conclusion that the original turbos have to stay on the engine, there's no space for anything larger. Thus, we sent the existing ones for a power conversion to Germany where they were completely remodelled internally. The company guaranteed 800+ horsepowers according to their volumetric calculations but their numbers proved to be pessimistic as you can see from the outcome. Then came the issue with the intercooler. At the outset we couldn't decide between an air-to-liquid or an air-to-air cooler. 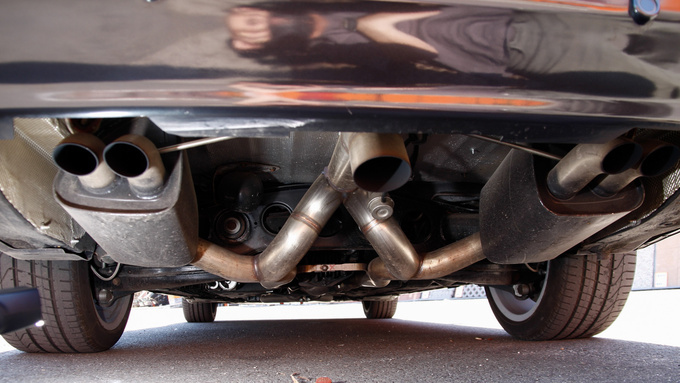 In the end we chose the air-to-air version, although most known tuning firms use the air-to-liquid type. This way we might not get as much power initially, but what we have, we can depend on. According to our maths the air-to-liquid intercooler could in fact, get more power out of the engine, but there would come a sharp decline in output once the coolant of the engine had reached a high temperature. Even engine failure could occur in such a case. When all the mechanicals and gases have been taken care of, we had the electronics to attend to. The ECU was remapped for the new boost and the special injectors by Powered Áki, then this unit had to be mated to the old car's wiring. That turned out to be a real challenge,” concludes István. „We had to redesign most of it. All that we could use from the existing front suspension was the steering knuckles and arms, the rest had to be manufactured from nothing. There was a huge modification to start out with: we had to turn the front subframe upside down so that the engine would fit. We then had to modify the tie-in points of the suspension, next came the rack-and-pinion steering 'box of the C215 to install. For the latter we had to make a unique steering column from scrap. 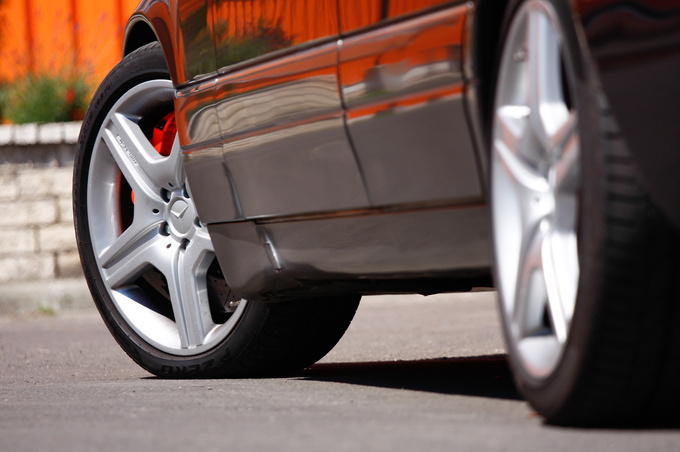 Then came the beefier shock absorbers –the lowering of the suspension. It took a lot of mathematics to get everything right. Smaller problems started to arise from this very non-standard setup. 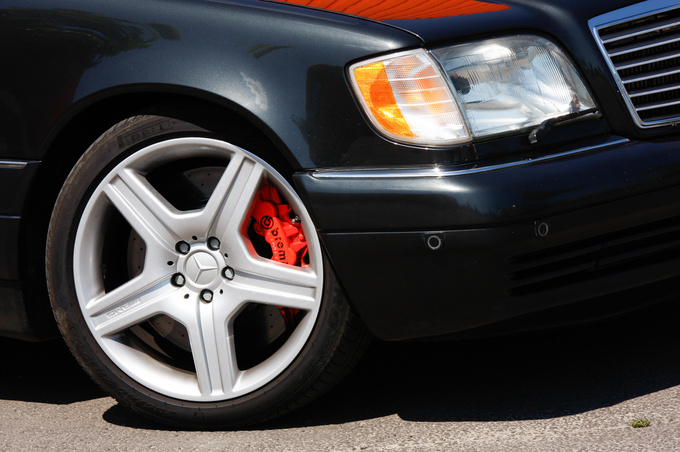 The eight-piston Brembo brake callipers wouldn't fit in any kind of wheel that has ever been made for the W140. The biggest you could order in its time was 18” but these are 19” AMG's now, shod with 245/35 Pirellis up front, 275/45's at the rear. Given the torque, I don't think that even this extra wide rubber will last more than 10,000kms. I don't think this is the only W140 in the world that has been converted to rack-and-pinion steering, but I have a feeling that it might be one of the better executed examples. Compared to an original you don't really feel the difference apart from this being a tad more direct. Of course you lose the W140's magic manoeuvrability in tight spaces because the turning circle is much larger, but the conversion was an absolute must. Are you asking what will happen if anything goes wrong with such a complicated car containing so many bespoke elements? We are safeguarding all the blueprints, dies, jigs, adjustment data – all that's necessary to reproduce anything; even the whole car,” answers István and steps onto the next topic. „It wasn't the engine or the suspension giving us the worst headaches. 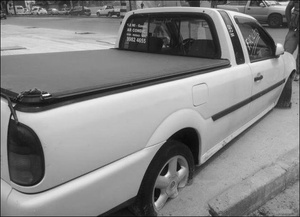 With those if something was needed, we just designed it and had it manufactured, no problem. But the electronic network... Looking back, it still gives me the nightmare sometimes. The complete system was built step by step by Mihály Hrabowsky. I already mentioned the greatest conflict: the mixing of old and new CAN-systems plus the traditional electrical wiring in the W140. He had to make ten additional computers and program then have a communication between the truncated networks. A few examples: the newer-type air-conditioning system now understands the signals from the older-gen input panel of the W140. 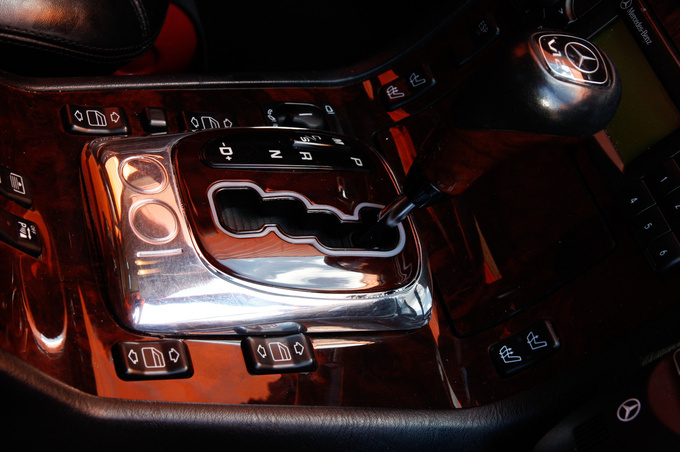 Communication has been resolved the same way between the ABS-sensors and the central computer, the engine management unit and the accelerator pedal – the list is long. We needed two instrument panels, too. The one you see from the driver's seat belongs to the old car and it's analogue. But there's another one hidden right behind that; of course it's just the circuit without the meters. There is a special interlacing between the two that was devised by the Haudek works, who have been repairing vehicle instruments for the best part of the last 60 years. They made the oil temperature gauge (it stepped into the place of the former eco-meter), the special buttons in the central console and the shift indicator, too. 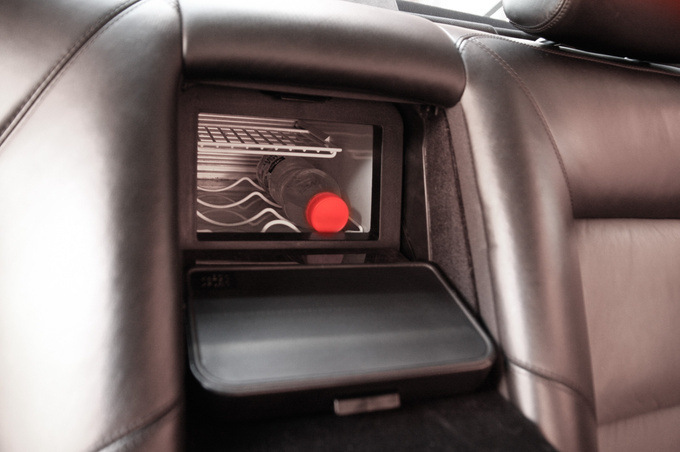 The only thing they couldn't solve was the operation of the horn from the steering wheel – the button is now on the centre console with an appropriate sign. See the skull sign on the button? We have now arrived to the biggest nut to crack – the ESP. We somehow had to give our customer an option to turn it off. But how sad, Mercedes doesn't have a software switch, nor any special program for providing such an overriding function with this engine-gearbox combo. Our electrician solved this by producing and setting up a counter-computer that tricks the car's own hardware into thinking that the wheels are properly rotating (whilst they're not). We finally got a car in which all electronic control can be turned off, except the ABS. I have been using the KO860 for a month now to have all the remaining glitches sorted, but I didn't dare try this button. I once turned it off to see if the button is working and that was all. 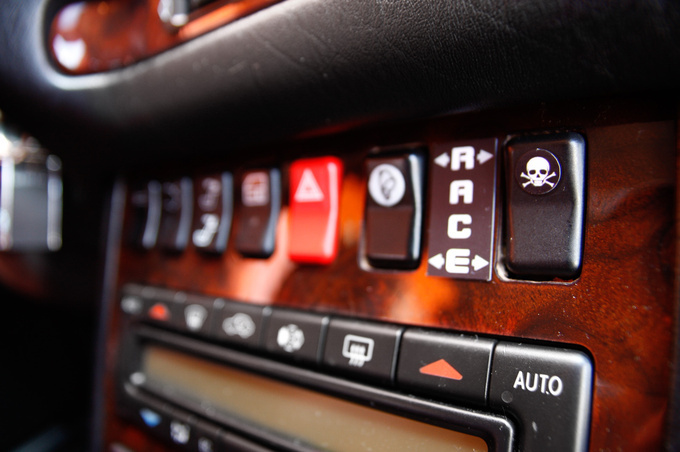 This little row of buttons on the middle console sums up the car perfectly: the horn button is for honking, the exhaust button means you'll get exhausted by the noise soon and the skull button means instant death,” he laughs. „The speedometer reads only to 360kph but the limiter is set to 369, and don't forget, this car strips its rear rubber even when shifting from fourth to fifth. But it isn't about outright speed at all. 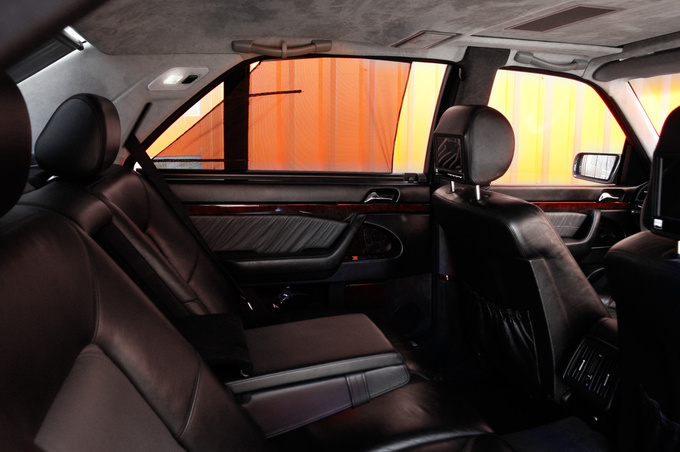 There are two LCD-monitors in the headrests, a factory-spec refrigerator between the front seats and another between the electrically adjustable rears, we've even made curtains for the side windows in the second row, too. „This unit really had to be rebuilt from nil, we could only use the casing and the electronics from the C215, everything that rotates inside is our team's own work, led by Attila Bucsi. We had to re-write the program in the computer here; then we had the task of making a new shifting console for the changed mechanicals. The differential has a longer ratio, too, but here we were really lucky: there was just enough space to fit the larger input gear while the drive gear had to be smaller, so that didn't cause any problems. We also had new, extra strength half-shafts constructed. Here we are talking about parts that can cope with loads better than the AMG-shafts which aren't bad either. The weakest part of the drive-train right now is the Rotoflex-coupling, those rubbers are original, brand-new AMG items. I hope they'll last a while,” and with this we get to the end of the long description. We started the test run in an outer district of Budapest and headed straight for some country roads. The traffic was packing up, but the big Merc wafted along just like a new car with only the extra exhaust noise and the occasional squeaking of leather upsetting the peaceful harmony. But even when I noticed a long, clean space in the flow of cars, I couldn't bring myself to prodding the long pedal properly. I kept remembering those immense figures, while at the same time I tried to imagine how a vendor who spent the best part of the price of a new S-Class on this old W140 (and has really paid most of it) would react to the notice a week before delivery: „Mercedes totalled by a journalist, sorry, best regards, István”. No, I daren't do that. Not yet. So, according to the old tester's rule – have the pictures ready before you start fooling around with the car – we got through all the necessary shots first. Then came my chance to do a bit of gun-ho driving. Being on a deserted road I turned on the loud exhaust first, but left the skull button alone. I have got two kids to feed. There came a nastier-style prod on the organ pedal from my side and in reaction I received a decidedly nastier death shove from the backrest accompanied with noises from the soundtrack of Jurassic Park. This is no child's play, this is Danger, spelt with a capital D, but of the more controllable kind. It then took me an hour of exploitation to get a vague idea of the KO860's capabilities. Yes, I have felt similar forces in my life, for example in a Ferrari 458 three years ago... and... there was the CBR1000RR Honda, too, which I had for a weekend... And there was that elevator in New York but that doesn't count because I was drunk... But hey, right now I'm driving a car that weighs more than two tons and I'm completely sober! What powers are working here? It's incredible how the KO860 blurs your vision with the sheer G's it produces. There are moments when your greatest worry is that your eyes will pop due to the acceleration. 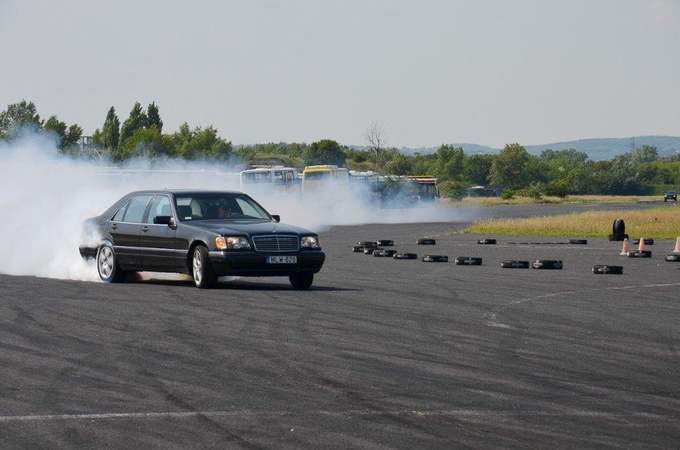 Of course, like with all big Mercs, there is a hesitation after the long pedal disappears in the carpet. It lasts for just a fraction of a second, but believe me, that is enough for viewing the entire movie of your life, I have seen it. At first there's that menacing rumble, the car raises its bonnet in anger, but you still don't know whether there's an earthquake coming that will erase half of Europe in an instant or it's just the mechanics of the car producing all these signs that would befit a horror movie more than any traffic situation. But you're still not moving. And then alas!, the car shots out like a bat from hell. When the huge Pirellis give up the fight, the ESP tries to step in, but its action is severe, it cannot leash the power in any other way, all the while the engine does its best to tear the internals of the gearbox to pieces, you even feel the body of the car flexing under the load it was never designed to bear. Without traction control this car can probably chew itself up and spit it out, disgusted, it's got that much power. In bends – although the grip is mighty on those big tyres and the suspension is also a bit more up to the job of harnessing cornering powers – the laws of physics prove to be way over the limit, the old chassis with its subframes sitting on soft rubbers cannot live up to the demands of powers nearing the Bugatti Veyron's. There was an official testing at a disused airfield later on, it was done by race driver Olivér Ámon, a guy who had also modified a W140 just for fun a few years before. The times of KO860: 50-150kph – 5s; 100-200kph – 6s, 50-250kph – 13s. Even if it's not Veyron territory yet, it's already Koenigsegg, Pagani Zonda and McLaren F1 stuff. I've been soaked in sweat, had my part of hooliganism for the day and we're all still in one peace, I'd say luckily. The KO860 murmurs along the boulevard leading back to the city unruffled by the action. 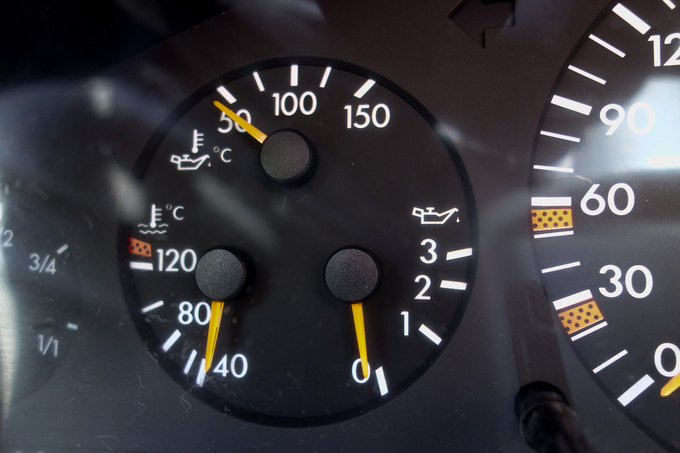 It doesn't even smell of burnt carbohydrates, all the meters read normal values, the only sign of thrashing can be read from the fuel gauge, the needle of which has developed a considerable lean towards zero. It's been enormous fun, it's been immense exhaustion at the same. The old Jethro Tull song keeps ringing in my ear: He's too old to rock'n'roll, but he's too young to die. 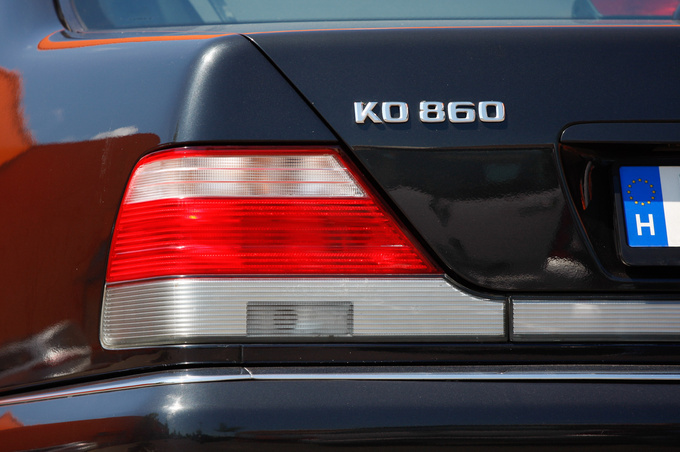 Until the time of writing of this article, there came no bad news on KO860. We really hope it stays that way. What an idea. What a car. What a beast!